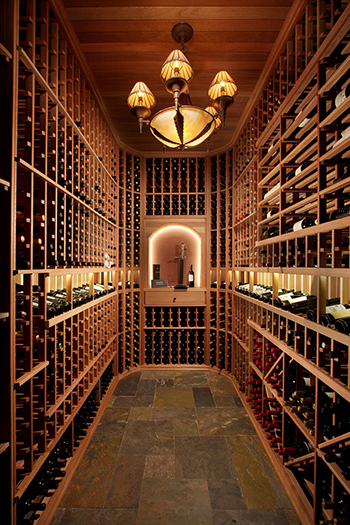 As the president of Porthos Wine Concierge, I’ve been fortunate to work with many of the most avid wine collectors in the world helping them expand and diversify existing collections or build a new cellar from scratch. Creating a collection can be an enormously pleasurable experience if you commence with a game plan that matches your palate and pocketbook. The result can be a portfolio of wine that is valuable in dollars and senses guaranteed to enhance an array of culinary delights and thrill thirsty guests. Clearly establishing priorities from the beginning also helps avoid a few of the common pitfalls referenced below. Here are the initial questions I recommend for any wine enthusiasts developing a cellar. If you’re enhancing an existing collection, you should consider a) which bottles are your current favorites and b) which wine categories (varietals, regions, etc.) you would like to expand in your cellar. If you are new to collecting, spend some time identifying past favorites you’ve enjoyed in restaurants or with wine connoisseur friends. Determine what percentage of white wine (including Champagne) vs. red wine you’d like for your cellar. Second, outline your preferred mix between the most popular varietals such as Cabernet, Pinot Noir, Syrah, Chardonnay, Sauvignon Blanc, etc. Note: this step is critical to avoiding the #1 most common pitfall I see among American collectors: loading up a cellar full of pricey Napa Cabernets and then realizing that your cellar is lacking varietals such as Pinot or Chardonnay to pair with seafood or other menus that don’t include filet mignon (see #7 below). Think about your typical weekly menus. What percentage of meals feature grilled meats and red wine friendly cuisine (Italian, etc.) vs. percentage of meals that focus on lighter foods including seafood and poultry more suited to white wines and Pinot? Also, when you entertain what type of cuisine do you normally serve. Note: this potential pitfall reminds me of the time a new collector asked us to fill up his cellar with robust red wines from Napa and Bordeaux. Later, he reached out to me rather sheepishly begging me to ship (overnight!) white wine recommendations for his "pescatarian" wife! Developing a mix of Cabernets (Napa vs. Bordeaux), Pinots (Sonoma vs. Burgundy) and unique blends from the Rhone Valley of France or Italy’s Tuscany can create an exotic cellar that will appeal to a wide variety of palates and pair with a plethora of menus. Hence, it’s important to determine what type of diversity you’d like to enjoy for your cellar! Note: this helps avoid the #2 most common pitfall I see: focusing exclusively on wine favorites from a single region (e.g. Sonoma Chardonnay but no Burgundy) then later realizing you prefer a variety of styles such as a crisp, clean Mersault that delivers a dazzling experience distinct from more opulent tropical fruit flavored California favorites. How many bottles (or cases) do you want for your cellar now? For example, if you’ve just purchased a new home with a 1,000-bottle cellar, are you eager to fill out 50%, 80% or more of your cellar in the next 30-60 days? If you have a total cellar budget in mind (respecting that many aficionados don’t! ), it’s helpful to quantify your preferred price point for “Tuesday night” wines (+ entertaining) vs. your ceiling for “celebration and Saturday night” wines. Then, consider what mix you’d like to achieve with your initial cellar stock (e.g., 70% "Tuesday" budget/30% "Saturday" budget). Most collectors prefer securing multiple bottles of each selected label to open a second bottle of favorite new discoveries and share with guests. Depending upon your cellar size, you’ll probably want to commence with 3, 6, or 12 (or more) bottles of each wine recommendation. This is a valuable consideration because some collectors prefer a cellar with a wide assortment while other collectors demand 12 bottles of each wine so they can track the aging process over the next decade(s). Think about how often you entertain and the average number of guests per occasion. This will influence considerations #5 and #7 as well since this answer can vary broadly. Many of the most enthusiastic wine lovers entertain for pleasure and business regularly, making it imperative to have a well-stocked cellar throughout the year (particularly during the holiday season). One of my favorite oenophiles hosts a gang of Cabernet (and NFL) devotees on Sundays throughout the fall so he requires multiple case shipments each September to make sure his cellar is properly equipped. 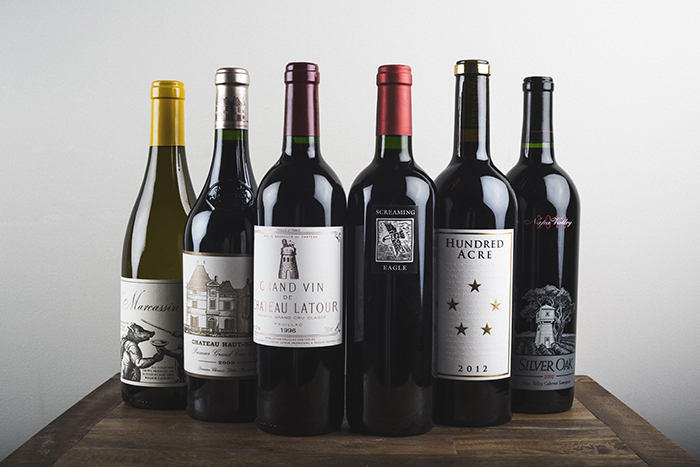 Avid collectors typically relish a balance between under-the-radar, boutique wines and an assortment of iconic labels such as Silver Oak or Screaming Eagle Cabernet from Napa and First Growth Bordeaux such as Latour or Haut Brion. Think about which types of wine are most appealing to you for family dinners, entertaining, and gifting as you assess your initial game plan. Calculate how much space you have in your cellar for magnums, double magnums (a.k.a. Jeroboam) and even larger bottles. I recommend a few of these large format bottlings because they are ideal for festive occasions and generally age longer than regular size bottles. Plus, favorite hand-etched bottles can add a touch of flair to any cellar. My particular favorite recommendation is double magnums for weddings (or birth-year celebrations) that guests can sign and create a keepsake for your cellar!